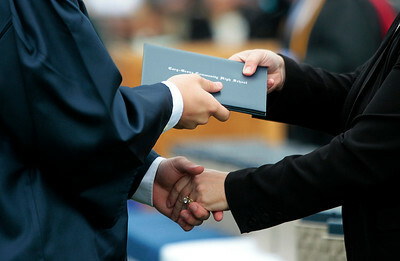 Kyle Grillot - kgrillot@shawmedia.com Micheal Danczyk is handed his diploma during the Cary-Grove High School commencement Saturday at Al Bohrer Athletic Field. Kyle Grillot - kgrillot@shawmedia.com The class of 2013 toss their hats after the Cary-Grove High School commencement Saturday at Al Bohrer Athletic Field. 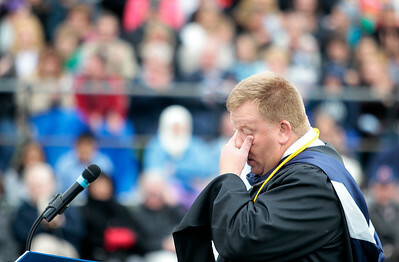 Kyle Grillot - kgrillot@shawmedia.com Principal Jay Sergeant wipes away tears as he presents the class of 2013 during the Cary-Grove High School commencement Saturday at Al Bohrer Athletic Field. Kyle Grillot - kgrillot@shawmedia.com Meghan Bennet looks out the doorway of the Cary-Grove gymnasium before the start of the Cary-Grove High School commencement Saturday at Al Bohrer Athletic Field. 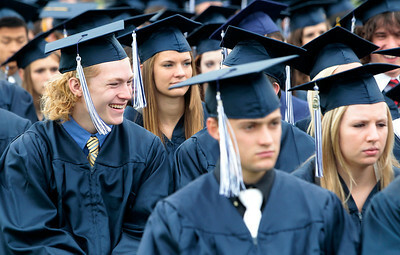 Kyle Grillot - kgrillot@shawmedia.com William Bozeman laughs during the Cary-Grove High School commencement Saturday at Al Bohrer Athletic Field. 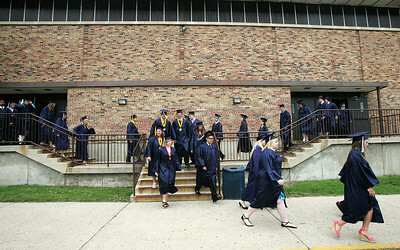 Kyle Grillot - kgrillot@shawmedia.com Students walk from the gymnasium before the start of the Cary-Grove High School commencement Saturday at Al Bohrer Athletic Field. 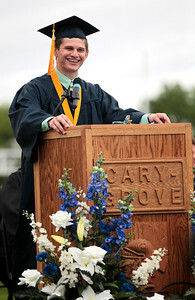 Kyle Grillot - kgrillot@shawmedia.com Valedictorian Ryan M. DiCicco gives his speech during the Cary-Grove High School commencement Saturday at Al Bohrer Athletic Field. 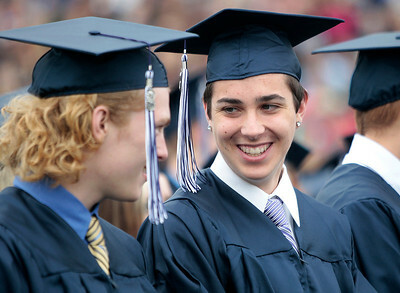 Kyle Grillot - kgrillot@shawmedia.com William Bozeman laughs with Joseph Braido during the Cary-Grove High School commencement Saturday at Al Bohrer Athletic Field. 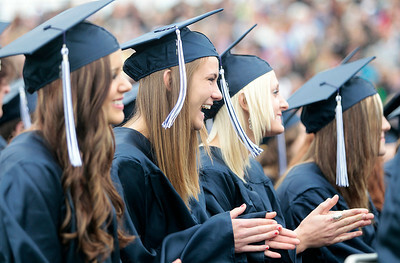 Kyle Grillot - kgrillot@shawmedia.com Melissa Burgos laughs while listening to Principal Jay Sergeant during the Cary-Grove High School commencement Saturday at Al Bohrer Athletic Field. 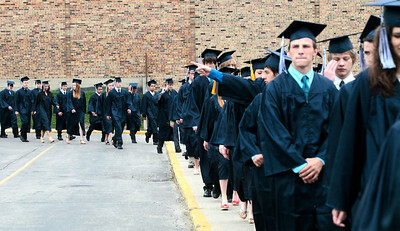 Kyle Grillot - kgrillot@shawmedia.com Cary-Grove faculty pass through the gymnasium before the start of the Cary-Grove High School commencement Saturday at Al Bohrer Athletic Field. 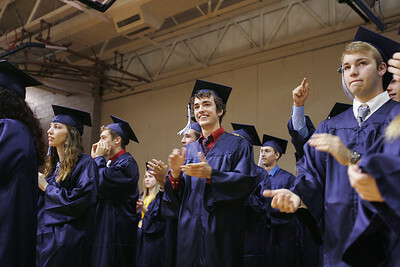 Kyle Grillot - kgrillot@shawmedia.com Cary-Grove faculty is cheered on by the graduates as they pass through the gymnasium before the start of the Cary-Grove High School commencement Saturday at Al Bohrer Athletic Field. 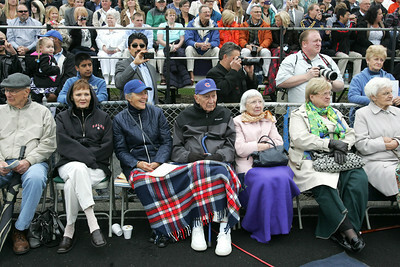 Kyle Grillot - kgrillot@shawmedia.com Spectators watch from the bleachers of the Al Bohrer Athletic Field Saturday during the Cary-Grove High School commencement.